Situated on the Island's west coast, this sandy beach is a great place for families. The landscape is an attractive mix of sand dunes and pink granite rocky headland with fortifcations to explore as well as great rockpools. Sunsets from here are exceptional. The tide at Grandes Rocques Beach is currently rising. High tide will be at approximately 11:50 AM, and the next low tide will be at approximately 6:06 PM. There is ample parking next to the beach. Dogs permitted all year, dog litter bins provided. around 4 miles southeast as the seagull flies, around 6 miles by road. 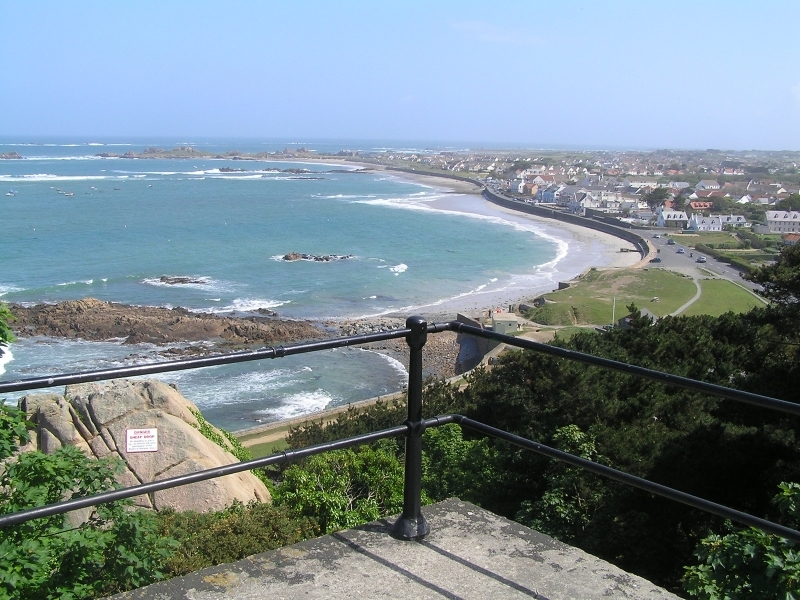 Visitor information for Grandes Rocques Beach, Guernsey, Channel Islands. Weather, tides, visitor comments, beach facilities, photos, nearest postcode, beach information and nearby accommodation.